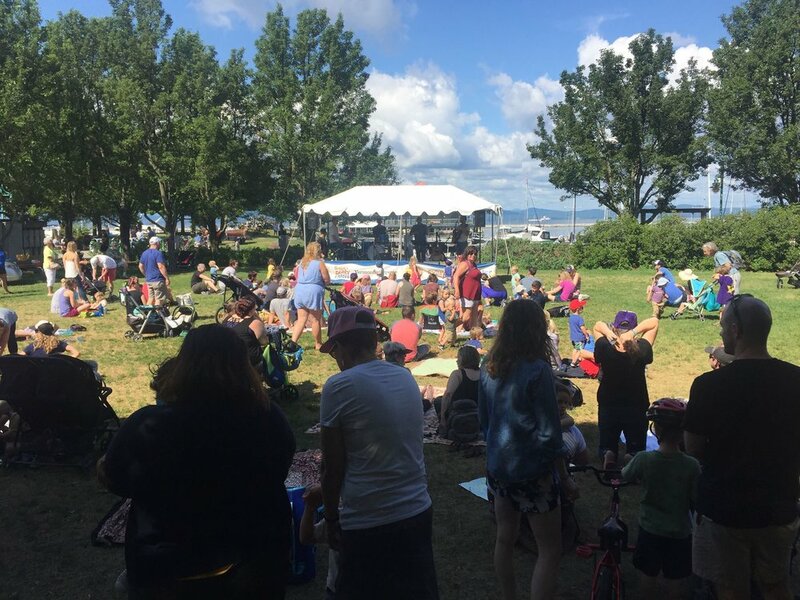 Big Tiny Love Festival is coming back to Burlington’s waterfront! This Summer, July 28th 2019. More info coming soon! Here are some memories from last year’s Big Tiny Love day. We are looking forward to more fun in the sun this July! When the work on the farm is done, it’s time for Mister Chris to have some fun! Musician and early childhood educator Chris Dorman stars as Mister Chris in this PBS show, a delightful farmer and performer who makes wishes and leads children on adventures to learn more about how wishes might come true. Along the way, he meets up with friends and finds clues that help him to explore the topic at hand. Each episode is embued with music and movement, with a strong focus on social and emotional development. 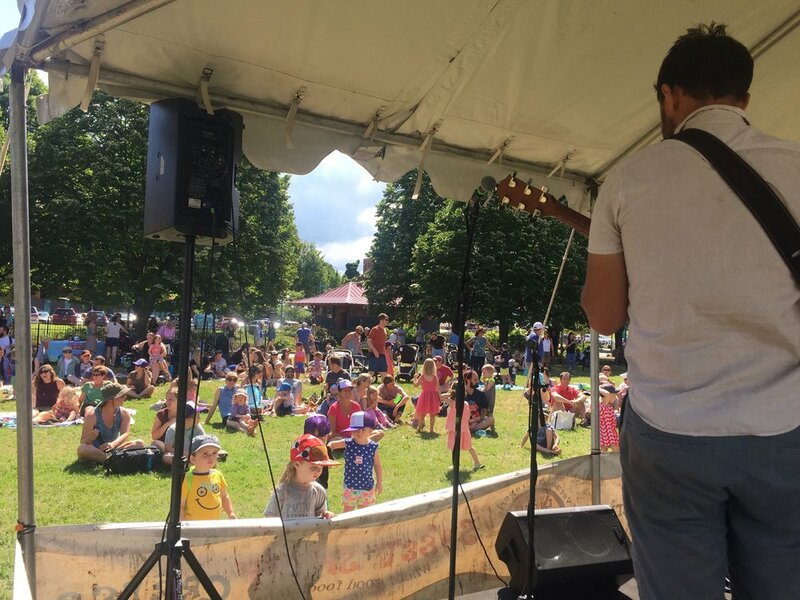 Mister Chris and Friends emphasizes children's experience, expression, and management of emotions and the ability to establish positive and rewarding relationships with others. Mister Chris and Friends invites young children to play, explore, and learn. Linda began reading music shortly after learning to read words, playing the clarinet and baritone horn for many years in a competitive marching band in the Boston area. She finally picked up a guitar at the age of 19 and has never looked back. She has played in the Rolling Rockers, Preventable Tragedy, the Bad Neighbors, Clever Gretel and the Dusty Jewels. Currently she is a member of the Burlington based 60's tribute band, Mellow Yellow, the seven piece, all female, rocksteady band Steady Betty. Every Friday at the Radio Bean Linda hosts a family friendly sing along for parents, caregivers and their children. Circus Smirkus is a nonprofit arts and education organization based in Greensboro, Vermont. Their mission is to promote the skills, culture and traditions of the traveling circus, and to inspire youth to engage in life-changing adventures in the circus arts. Since 1987, Circus Smirkus has been bringing the transforming power of the circus arts to people of all ages through three principal programs: Circus Smirkus Big Top Tour, Circus Smirkus Camp and Circus Smirkus School Residencies. "The word sangha translates from the Sanskrit language as “community”. Sangha Studio serves as a place where we can all feel supported and encouraged within our community, in our yoga practice, and in our lives. We aim to offer classes and events with the intention of growing community both inside and outside the studio. Offering classes for practitioners of all levels, yoga teacher meetups, donation-based classes, and more. Sangha Studio opened in February 2014. From the beginning we had a goal of making yoga financially affordable and accessible to all. We wanted to offer a space for teachers and students to be creative in their ideas and supported in their efforts..."
Sangha will be leading family yoga classes for us! Rooted in Vermont celebrates how Vermonters acquire and enjoy local food—from growing or foraging, purchasing directly from a farmer or at the store, hunting or fishing, eating at schools, institutions or restaurants serving local food, finding food from a food shelf, or just by trading with friends and neighbors. Rooted in Vermont is a growing grassroots movement to help all Vermonters see local food as their own – not because it is a trend, but rather a part of our history and who we are as Vermonters. Rooted in Vermont belongs to all Vermonters and is being nurtured by the Vermont Farm to Plate Network. Join them in braclet making at Big Tiny Love! "Shelburne Farms is a nonprofit organization educating for a sustainable future. That means learning that links knowledge, inquiry, and action to help students build a healthy future for their communities and the planet. Our home campus is a 1,400-acre working farm, forest, and National Historic Landmark. We care about the sustainability and quality of life on earth. We care about young people having hope for the future. We believe that sustainability is grounded in individual awareness and action in our own communities." Along with education, and environmental stewardship efforts, Shelburne Farms produces some of the best cheddar around, we invite you to enjoy samples at Big Tiny Love!